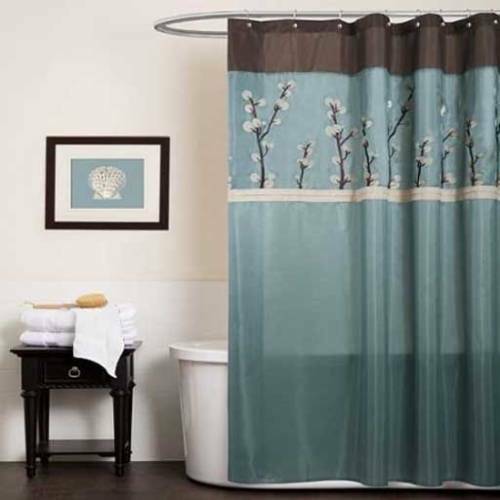 There are various tips on how to decorate bathroom curtains. The curtain in the bathroom is very essential. It is not only a part of the home décor. You can also use it to maintain privacy and control the intensity of light in the morning. 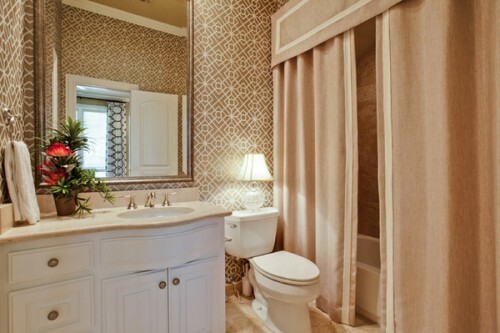 The bathroom curtain should be selected based on the design and style of the bathroom. 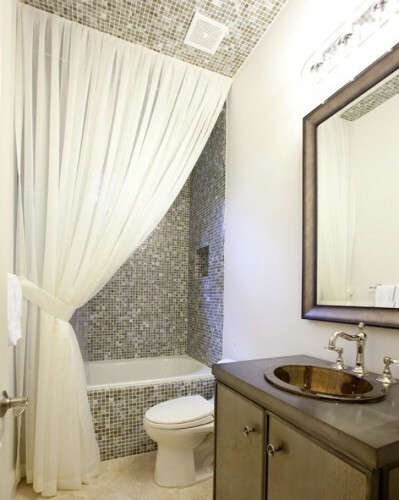 The safest solution which can enhance the bathroom decoration is by using the light or soft colored bathroom curtain. Choose the interesting texture or print if the bathroom is very boring. 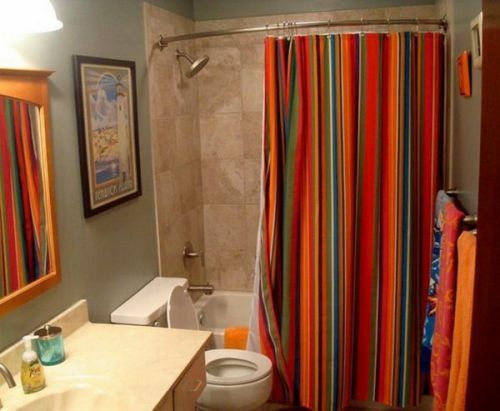 Have you ever considered having a see through curtain for the bathroom? If privacy is not the main concern in the bathroom, you can choose this clear shower curtain. You can have it in soft pink, white, ivory or even blue color. The people love it since it can create the open space design inside a small bathroom. 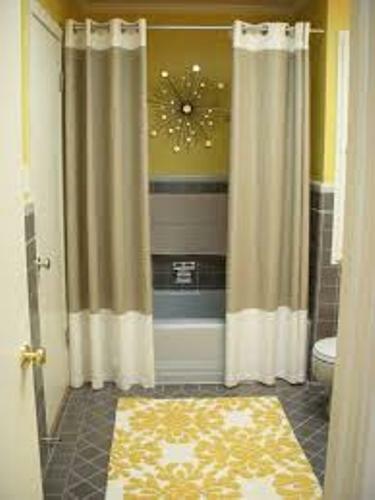 The boring bathroom is no more if you can install the bright colored shower curtain. This item is nice to spot as the focal point. Make sure that the bathroom wall, floor and ceiling are decorated in neutral or muted tone. Therefore, the attention of the people is grabbed on the look of the bright shower curtain. You can install a burnt orange shower curtain with an image of big sunflower at the middle. Some people are afraid with the dark shower curtain. They believe that the dark curtain can bring smaller impression in the bathroom. It is not true as long as you use a lot of soft or light tones on the wall, floor and ceiling. If you have a nautical bathroom design, you can decorate the entire wall with white beadboard. Add the navy blue curtain or Mediterranean curtain to support the nautical feeling. You can match it with seashell or even light house printed wall hanging. There are various options of bathroom curtain to choose on the stores. If you want to enjoy natural beauty, you can buy the bamboo inspired curtain. It can be made of vinyl or even plastic. Find other ideas on how to decorate bathroom countertops. If you want to create an interesting space illusion, the bowed curtain rod can replace the old fashioned standard straight curtain rod. Do you have any more tips on how to decorate bathroom curtains?